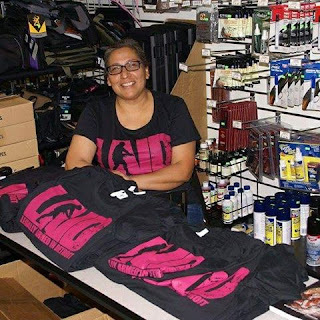 LAID - Legally Armed In Detroit (Michigan CPL CCW Classes): LAID Lady-Tees For Sale! Limited Quantity! Buy Now! Only $25 Post-Paid! LAID Lady-Tees For Sale! Limited Quantity! Buy Now! Only $25 Post-Paid! If the US Post Office is open, I can ship! I won't mind going every day! I just shipped to Livonia, Trenton, and Clarksville, TN! Get your women's black tee in sizes S, M, and L (Womens sizes) with pink ink while supplies last! Shirts are only available in women's sizes! Email me (detroitccw@gmail.com) with your size in a women's tee to my email address. Receipt of invoice inbox confirms that I still have it in your stock in your size. Simply PayPal $25 for the shirt and shipping and the shirt will quickly be sent on its way to you! Quick and easy! How many do you want?